Just right after all the horrible thigns that happened lately, I realized that I still had my Bizu French Macaroons sitting prettily on my fringe. From all the troubles I've been having lately, it was such a great treat to enjoy iy and to make my problems temporarily go away. Each flavor is the sweetest perfection. Every bite is as soft as cotton. Each round pastry a delight to the tastebuds. 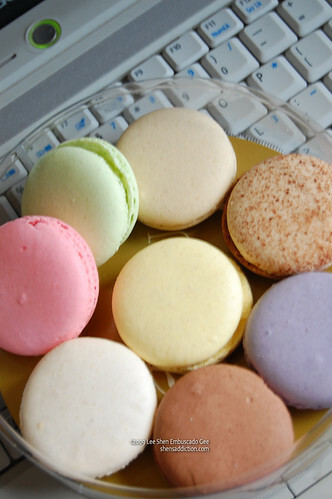 Bizu macaroons are carefully handmade. They have one particular person who does nothing but make these beautiful pastel rainbow treats from scratch. 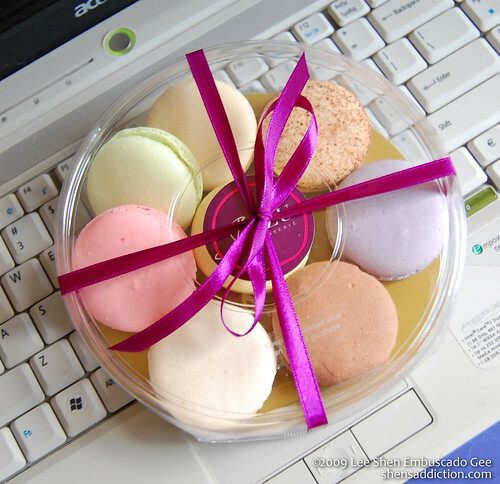 You can have your very own rainbow of Bizu Macaroons, simply visit them at Greenhills Promenade, Glorietta 4, or Alabang Town Center. P.S. One shouldn't do food posts before going to bed as it makes the writer hungry. Lol!